Timothy Keller explores Jesus' answers to life's biggest questions. What is my purpose in life? Who am I meant to be? How can I live a successful life? Why is there so much wrong with our world today? Am I part of the problem? What can I do to help change that? These are the big, seemingly unanswerable questions that everyone must ask and then answer in life. Those who offer answers to these questions normally invite people to "get dumber" - to distract themselves, convince themselves of something they don't really believe, or blame others. Yet as Timothy Keller shows us in this groundbreaking book, Jesus invites people to "get smarter" - to thoughtfully explore the deep reality of God's purposes for us and for the world. Jesus changed the lives of nearly every person he met in the Gospels. These were powerful experiences that can have a profound effect on us today and help explain not only different aspects of Christianity, but the deep questions of life itself. 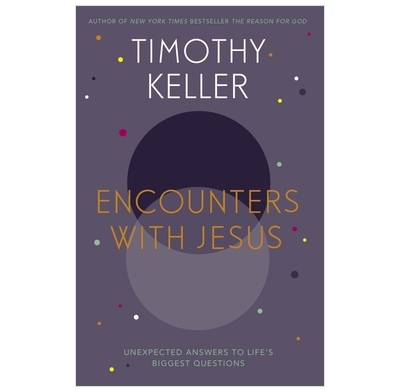 Timothy Keller highlights ten of these encounters, including his meeting a skeptical student, a religious insider, an outcast, even Satan himself, and proves how invaluable the lessons from these encounters are for contemporary readers.